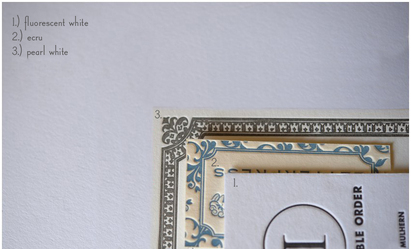 When you order letterpress, a few things are common to most orders. We can do almost anything, but here are the main choices! Single (21 pt.) or double ply (42 pt.) paper? 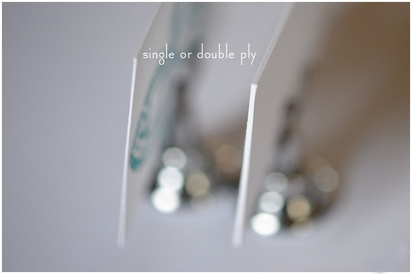 Single ply paper is more cost effective, but double ply paper allows for a more luxurious feel and deeper impressions. One color, or more? Standard shape & size, or completely custom! Anything’s possible! Custom shapes cost more, but we can do squares and other shapes for no additional cost. 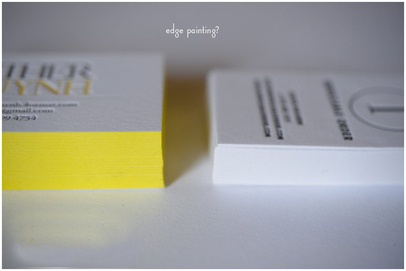 Edge painting? Pictures say it all. What color paper do you prefer? Double sided printing, or not? 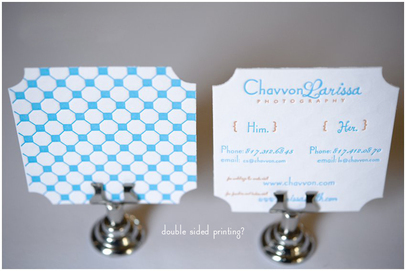 Double sided printed will cost more, but adds lots of impact to your card. 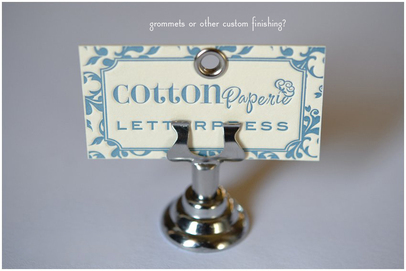 Grommets or any other finishes to make your letterpress more functional?